An imaginary circle drawn in any direction on Earth’s surface and whose plane passes through the center of Earth is a great circle. It is called ‘great’ because this is the largest circle that can be drawn around Earth that connects any two points on the surface. Every great circle divides Earth into equal halves called hemispheres. An important example of a great circle is the circle of illumination, which divides Earth into light and dark halves day hemisphere and a night hemisphere. A stratovolcano, also known as a composite volcano, is a conical volcano built up by many layers (strata) of hardened lava, tephra, pumice, and volcanic ash. 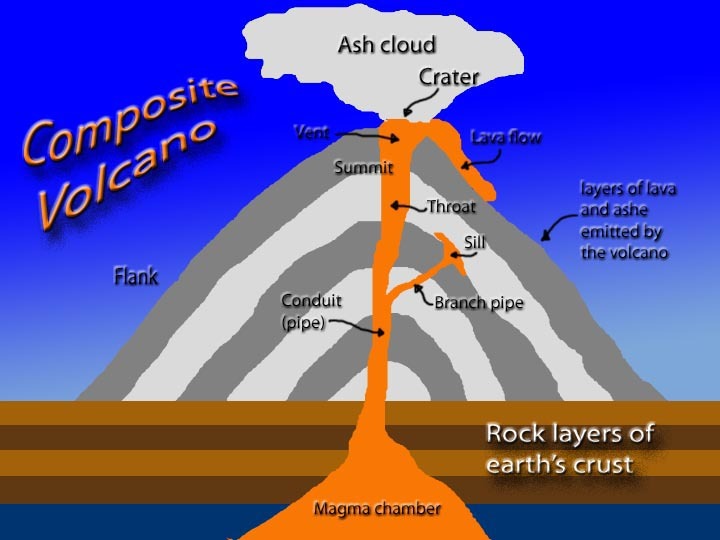 Stratovolcanoes are sometimes called ‘composite volcanoes’ because of their composite layered structure built up from sequential outpourings of eruptive materials. 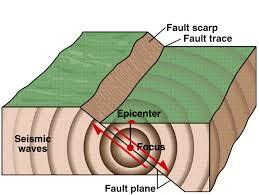 They are among the most common types of volcanoes, in contrast to the less common shield volcanoes. Two famous stratovolcanoes are Krakatoa, best known for its catastrophic eruption in 1883 and Vesuvius, famous for its destruction of the towns Pompeii and Herculaneum in 79 AD. Both eruptions claimed thousands of lives. In modern times, Mount Saint Helens and Mount Pinatubo have erupted catastrophically. Which of the following statements regarding the duration of day and night is correct? The duration of day and night is because the difference is least near the Equator and progressively increases away from it. A stalagmite is a type of rock formation that rises from the floor of a cave due to the accumulation of material deposited on the floor from ceiling drippings. 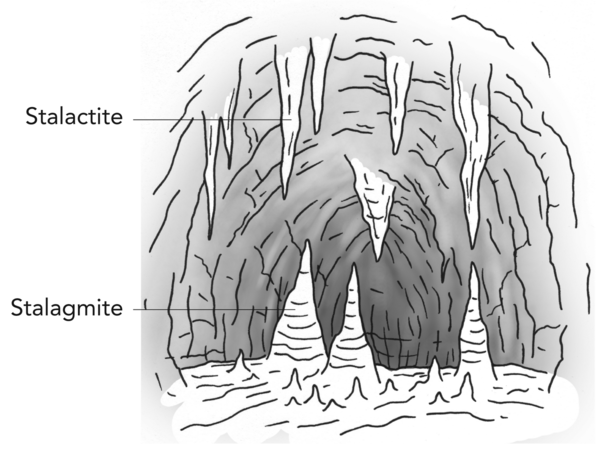 Stalagmites may be composed of amberat, lava, minerals, mud, peat, pitch, sand, and sinter. Which of the following is/are direct source(s) of information about the interior of the Earth?